There are so many choices to pick from - from sweet to savoury with over 20 choices (or more!). Avocado, nutella, banana, strawberry, cheese, bacon, too many to even remember all of it! It is freshly made and served hot - it is so good it melts in the mouth! If you're not one with big appetite do order one to share. One portion is pretty huge and filling. 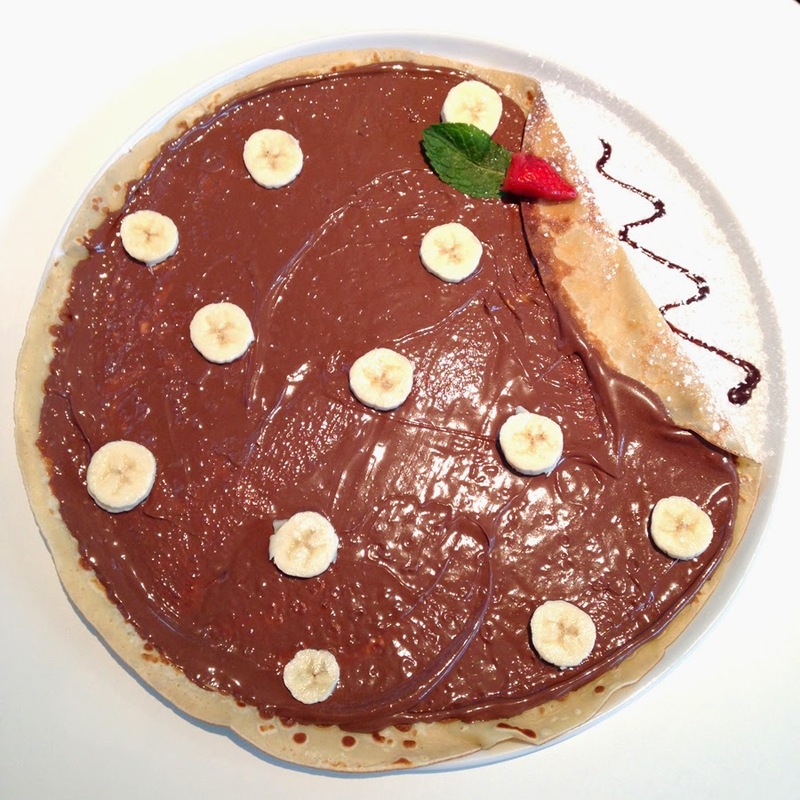 I'm not quite sure of the savoury pancakes (the combination doesn't sound right to me), but the sweet pancake, something with nutella is definitely the right choice if you can't decide. I didn't pay much attention but I remember they do serve other types of desserts too, like ice cream.